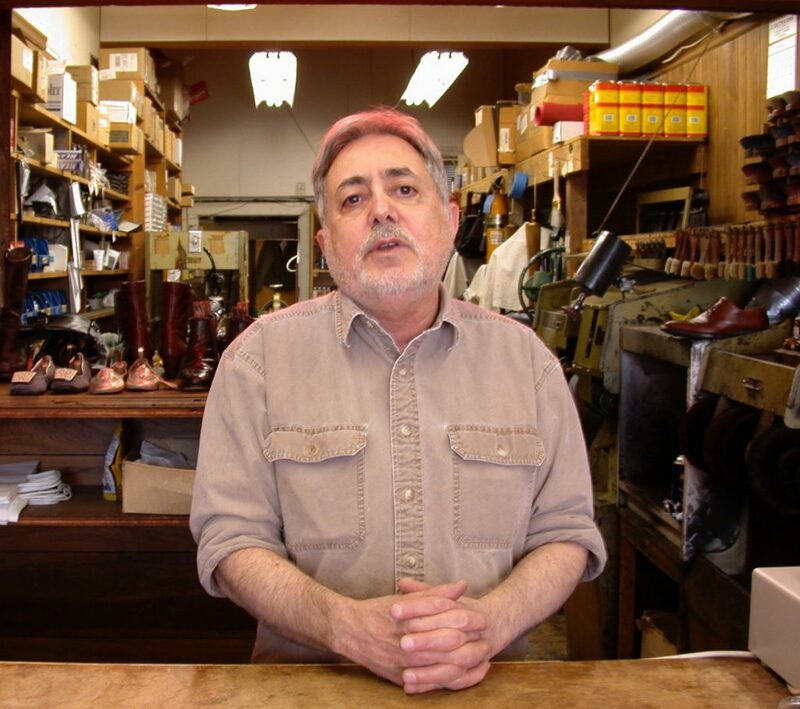 Ed Nahigian, longtime owner of SF Boot & Shoe Repair at 2448 Fillmore. 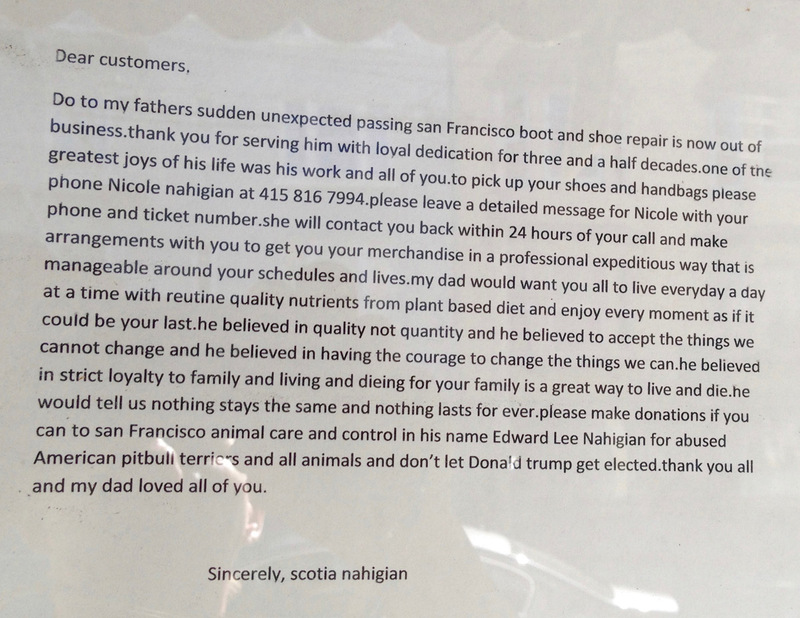 SAD NEWS from one of Fillmore’s few remaining old-school shops: SF Boot & Shoe Repair at 2448 Fillmore has closed after 34 years. 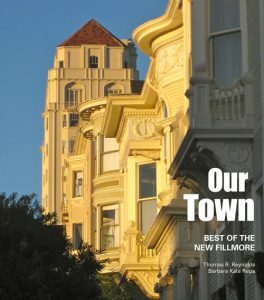 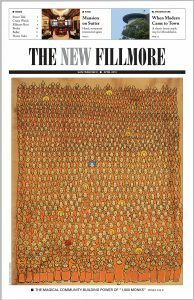 Owner Ed Nahigian died early on September 27 while walking his dog in Alta Plaza Park.